Read the full statement from the Mandela family on the passing of Madikizela-Mandela. 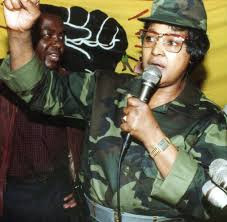 JOHANNESBURG - Struggle stalwart Winnie Madikizela-Mandela has passed away at the age of 81 on Monday. Her family announced the news in a statement. Media statement: It is with profound sadness that we inform the public that Mrs Winnie Madikizela-Mandela passed away at the Netcare Milpark Hospital, Johannesburg, South Africa on Monday the 2nd of April 2018.